hd00:32KUALA LUMPUR, MALAYSIA - MARCH 30: View of visitors pass by on the stairs outside of the Batu Caves on March 30, 2016 in Kuala Lumpur, Malaysia. 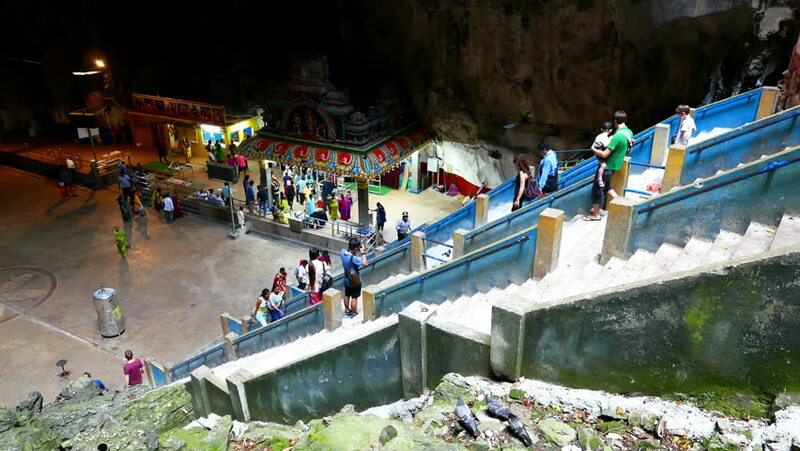 hd00:20KUALA LUMPUR, MALAYSIA - MARCH 30, 2016: View of visitors pass by in the Batu Caves on February 15, 2016 in Kuala Lumpur, Malaysia. 4k00:18KUALA LUMPUR, MALAYSIA - MARCH 30: View of visitors pass by on the stairs outside of the Batu Caves on March 30, 2016 in Kuala Lumpur, Malaysia. hd00:18KUALA LUMPUR, MALAYSIA - MARCH 30: View of visitors pass by at a temple in the Batu Caves on March 30, 2016 in Kuala Lumpur, Malaysia. 4k00:19Thailand, Bangkok - December 23, 2018: Sea Life Bangkok Ocean World Aquarium in SiamParagon shopping center, Bangkok, Thailand. hd00:15AYUTTHAYA. THAILAND - CIRCA FEB 2015: Buddha Sculptures in an Ancient Temple Courtyard from an Elevated Position at Wat Yai Chai Mongkhon in Ayutthaya. Thailand.